The secret of happiness is that it comes from small things. Sometimes they are literary small, like in the case of the Charles Matton’s most famous work – the Boxes. 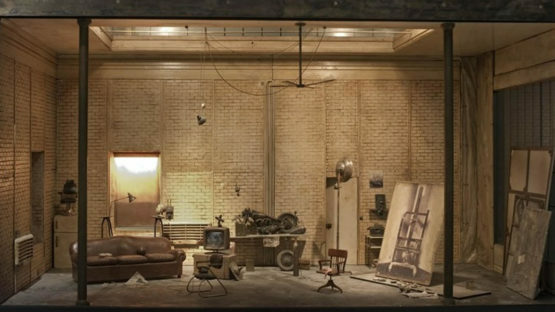 Even though he was quite versatile, and worked in painting, illustration and photography, but also as a screenwriter, writer, and a movie director, what marked his career were the miniature worlds. His memories of the places where he lived were poured into the creation of the pieces, but his imagination as well. In the last decade of his life, Matton became worldwide recognizable, exhibiting his work throughout the globe. It seemed that Matton’s artistic sense was never in step with the times. His Boxes originally served as props for his photography and painting, but they evolved over time and became his trademark. In the period between 1988 and 2007, 36 boxes, all in the scale of 1:7, and all were models of the interior. Some were inspired by the flat in Paris where Charles lived, others on the lives of the known people like Francis Bacon (his studio), and some were made from imagination, where the libraries were the recurring motif. These libraries were heavily influenced by the literature of James Joyce and Jorge Luis Borges. The huge gap in the artist’s exhibition history comes from his decision to stop exhibiting publicly and instead paint for the chosen collectors and himself. He also worked for the Esquire and publishers like Christian Bourgois and Le Club Français du Livre. This happened between 1960 and 1983, and after that, he continued exhibiting his artworks regularly. The last movie he directed in his rich career was The Rembrandt in 1999. After Matton’s death in 2007, his wife Sylvie continued promoting his creations, and more exhibitions followed. His pieces are included in several prestigious collections like Maison Européenne de la Photographie in Paris, National Museum of Modern Art, Kyoto and Tokyo in Japan, Bibliothèque Nationale de France, Paris, and in many private collections. Sometimes life carries us in the directions we couldn’t even dream of. Charles Matton was a talented artist working in many fields, and he was good in everyone. In the end, what gained him fame was something that had a purpose to help in his other projects. Surprises are around every corner, and the way we deal with them defines us. Matton embraced this surprise and turned it into recognizable pieces of art. 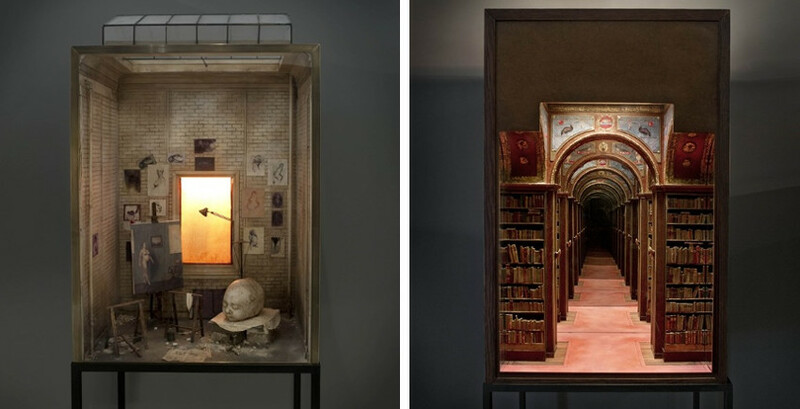 The boxes were miniature worlds inviting the viewers inside. Careful and very precise use of the lighting effects and mirrors gave the illusion that the place was much bigger than two cubic feet. Charles Matton lived and worked in Paris. Featured image: Charles Matton – The New York Loft, 26th Street, 1986 (detail) copyright © All Visual Arts. All images copyright © Estate of Charles Matton.